ExpertHadi - Reiki, Indian Astrology, Vedic Astrology in Sydney. Welcome everyone, I am ExpertHadi. I am a natural born psychic with 22 years healing experience. I can remove and protect you from "bad energies and bad spirits". I am a specialist in love, relationship, marriage, family issues, business, career, soul mate connections , past, present and future. 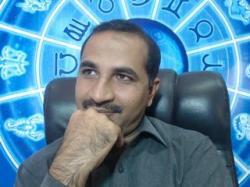 Smoking & Alcohol I am ExpertHadi, I am natural born psychic & will tell you truth of life. I am good in my vision power and tarot card, I can remove and protect you from "bad energies & bad spirits". 10 years of practice in Sydney.